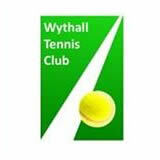 We have 4 hard courts in Wythall Park of which 3 are floodlit. With any Senior membership tennis balls and floodlighting are free. Very few clubs offer this deal which of course avoids further costs during the year. Our club nights for Senior members are Tuesday, Friday evening plus Sunday afternoons. Membership fees remain at 2008 prices. These are £110 for a Full member or £60 for an Off-Peak member or student. The Off-Peak membership is popular with many joining us from local gyms. Exercising outdoors is an obvious attraction plus in many instances learning a new sport. For any junior interested in coaching, the club runs run two sessions on Monday and Wednesday evenings. The 2009 junior course details are available on the web site. Les Swaby – mobile number 07846 376408 and Rob Tattersall – mobile number 07912 664426. Our adult Wednesday social tennis afternoons remain popular. Visitors are welcome (£2 fee). Thursday is ladies night on courts 1-2 with off peak members welcome. Throughout the year tournaments are run for members and again the dates are on our website. Two particular ladies and men’s doubles tournaments have team and social full members as a pair. This gives social members the opportunity to experience match play in their development as players. In the Birmingham summer league the club has two men’s teams and one ladies team. The men also have two teams in Stratford and District winter league which is played on Sunday mornings between September and April. If you have any questions Kevin Turner is at the courts on a Saturday morning or you can contact him on (01564) 200282. Another option is visit us on a Tuesday or Friday evening between 6-8pm or Sunday afternoon between 2-5pm. These are our club sessions and any queries can be answered.